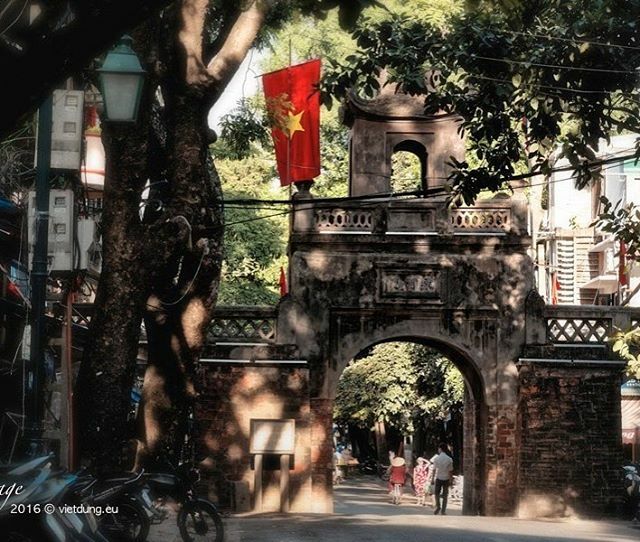 If you ask a local people “What is the spiritual symbol of Hanoi?”, the answer will definitely be the Old Quarter. 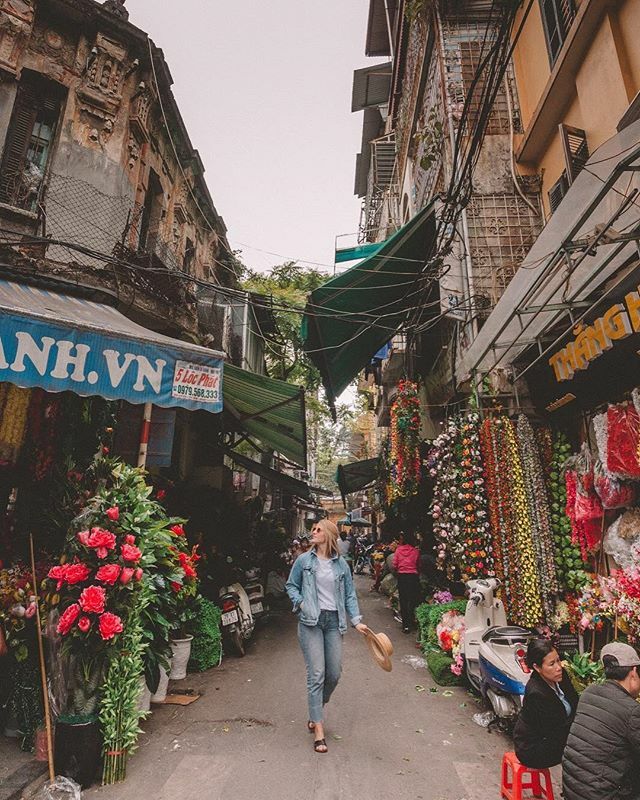 The Old Quarter is a place where you can find the fusion of the past and the modern life as well as the history and culture of Vietnam’s capital. 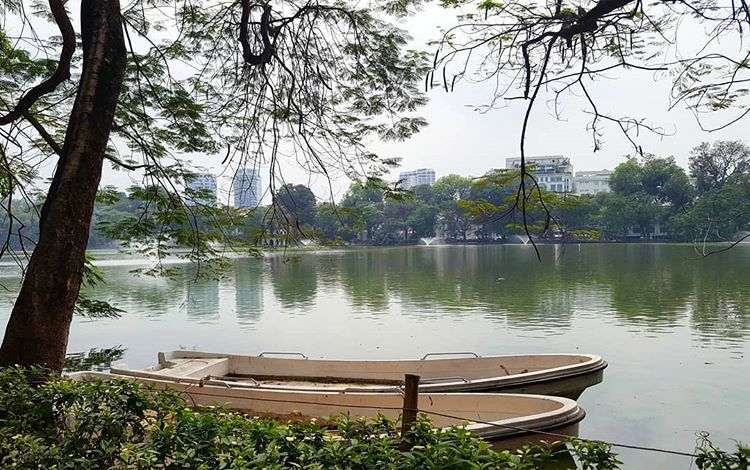 There is no limitation on things to do in Hanoi. Therefore, if you are making a plan to go to Hanoi, why wouldn’t you plan a trip to this symbolic place? Now we will help you discover the 15 things you need to know about Hanoi Old Quarter. 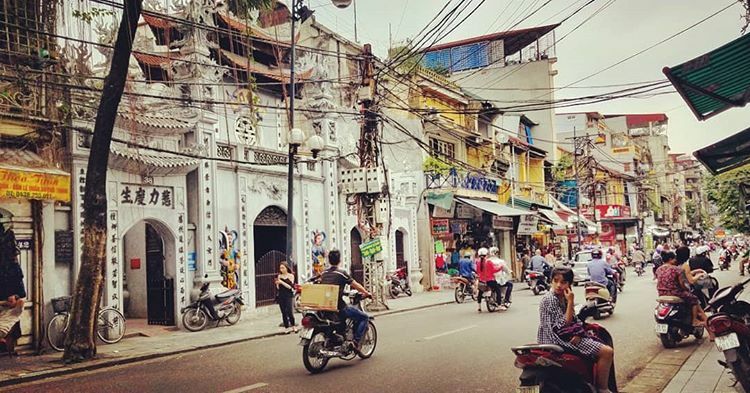 The first chapter of Hanoi’s Old Quarter history was started in the 11th century when the King Ly Thai To decided to move the capital from Hoa Lu (Ninh Binh) to Thang Long (Hanoi). After this historical decision, many craftsmen gathered around the royal palace in order to sell their product. It lead to the establishment of the specialized villages of various types of product. In these villages, the skillful craftsmen with the same skills could cooperate conveniently and also made it easier to transport their products to different places. 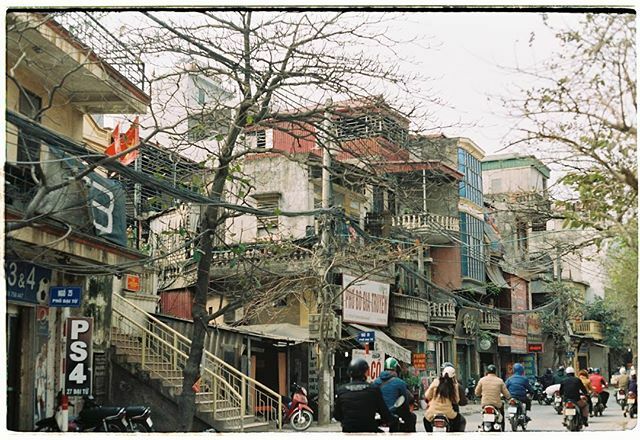 Hanoi’s Old Quarter development reached its peak under French colonial rule. As mentioned above, the villages of specialized craftsmen formed a long time ago. Year after year, these villages transformed into the streets we see in the present day. There are 36 old streets with their names starting with the word “Hang”. Now we will take a look at the list of 36 streets: Hang Bo, Hang Bac, Hang Gai, Hang Buom, Hang Thiec, Hang Hai, Hang Khay, Ma Vi, Hang Dieu, Hang Giay, Hang Lo, Hang Cot, Hang May, Hang Dan, Pho Moi, Phuc Kien, Hang Ngang, Hang Ma, Hang Mam, Hang Than, Hang Dong, Hang Muoi, Hang Non, cau Dong, Hang Hom, Hang Dau, Hang Bong, Hang Be, Hang Thung, Hang Bat, Hang Tre, Hang Voi, Hang Giay, Hang The, Hang Ga, Hang Da. However, it is the fact that there are more than 70 streets inside the Old Quarter because of the complicated notion of “street”. Pho is not a strange dish to foreigners anymore. You can try this dish many places around the world. However, if you are willing to experience the real flavor of this dish, welcome to Hanoi Old Quarter. Best Pho in Hanoi is usually eaten with rare beef, brisket, flank, fillet, and many other cuts of beef. In addition to these above ingredients are the intense broth made from bones, flank steak, ginger, onions, and aromatic spices. Every store selling Pho in Old Quarter is keeping to their own a secret formula to make their own dish. Because of that, even though you’re ordering the same dish, you can taste a different flavor in different stores. 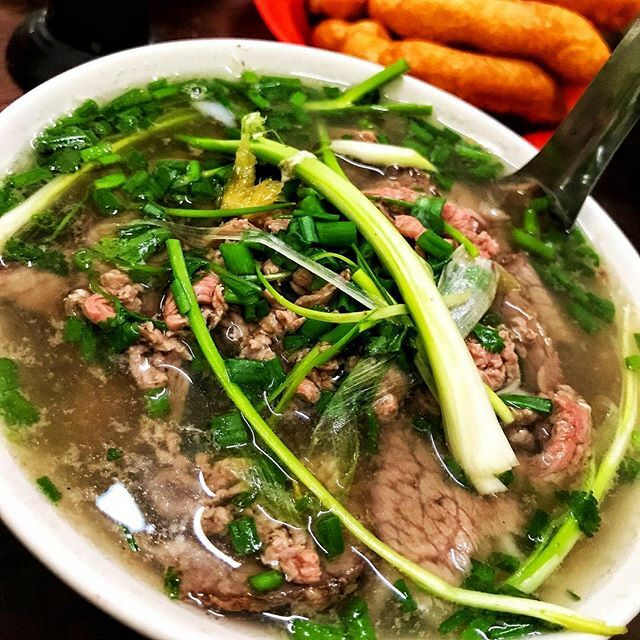 In general, the taste of Pho in the Old Quarter will be carved in your head as something you couldn’t ever forget. This traditional dish is the fusion of rice vermicelli and grilled pork. They grill the pork in the traditional way – on the charcoal so when you eat it, you can taste the smoky chargrilled flavor and some crispy bits. The broth is made from fish sauce with chili, garlic, and lemon. The sweetness of the pork, the spiciness, saltiness, sourness of the broth all create a harmonious bowl of Bun cha. This brand of ice cream has been established for more than 15 years so it has become the symbolic dessert of Hanoi people. It is the mark of the childhood of many children in the capital. Although it is famous and attracts many tourists, Kem Trang Tien still keeps their acceptable price without raising it. The crowds lining up in front of the store every day speaks volume about its quality. A local insider will know best when it comes to hidden eateries that can surely leverage your palate. Find a local buddy to accompany you in a food quest in Hanoi Old Quarter now! If you want to see the last relic of Thang Long citadel, O Quang Chuong is your destination. It was built 10th year of Canh Hung dynasty (1749). After a long time known as the Dong Ha gate, O Quang Chuong changed its name to dedicate the merit of an official in Nguyen Dynasty named Chuong Co who fought against colony till his death in 1873. The architectural style of this relic is the featured style of Nguyen Dynasty so you can explore the architecture of over three hundred years ago. This lake is named after a historical myth. The myth says that Le Loi accidentally found a sword with the word “Thuan Thien” (Harmonious with Heaven). Thanks to this sword, he won the war with the neighboring country so he thought that this sword must have been a present from heaven. After the war, Le Loi became the King. One day, when the King was on his trip to Thuy Quan Lake, a tortoise raised above the water and shouted: “The King please return the sword to Dragon Lord”. After this, the King changed Thuy Quan Lake’s name to Hoan Kiem (returning the sword) Lake. 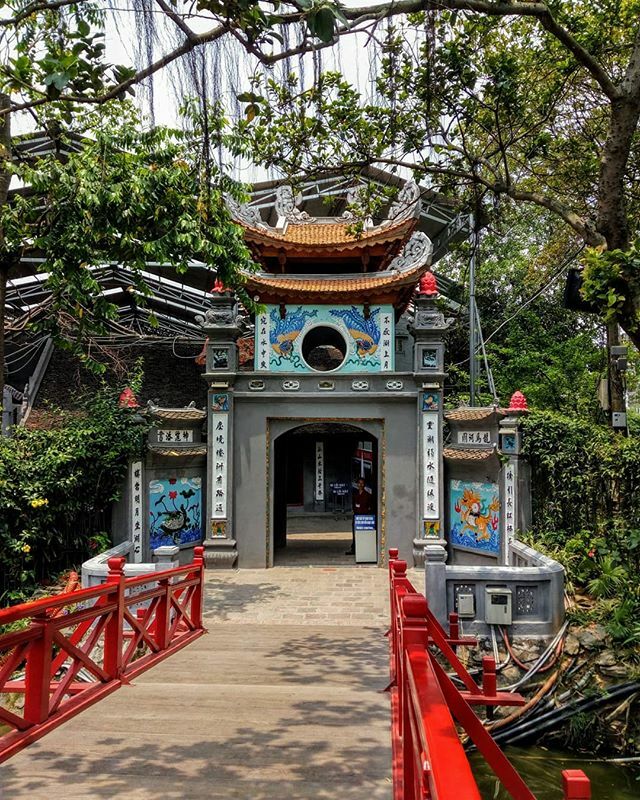 This temple was built in the early 19th century in the northern part of Hoan Kiem Lake. This temple is dedicated to scholar Van Xuong De Quan and General Tran Hung Dao. In 1985, the Confucian Nguyen Van Sieu was responsible for renovating this temple. Then he built Thap But (Pen Tower), Dai Nghien (inkstand) and The Huc (where the rays of morning sunshine touch) Bridge. This is an ancient house that was built in the early 19th century. It is one of the 14 oldest houses in Hanoi’s Old Quarter. The architecture of the house is the old pipe-shaped which you can meet in many houses in the past. Fortunately, the architecture of the house is still preserved after many ups and downs of history. When you visit this house, you can explore the architecture of the past. Through this, you can imagine the daily life of the people who once lived in the Old Quarter. 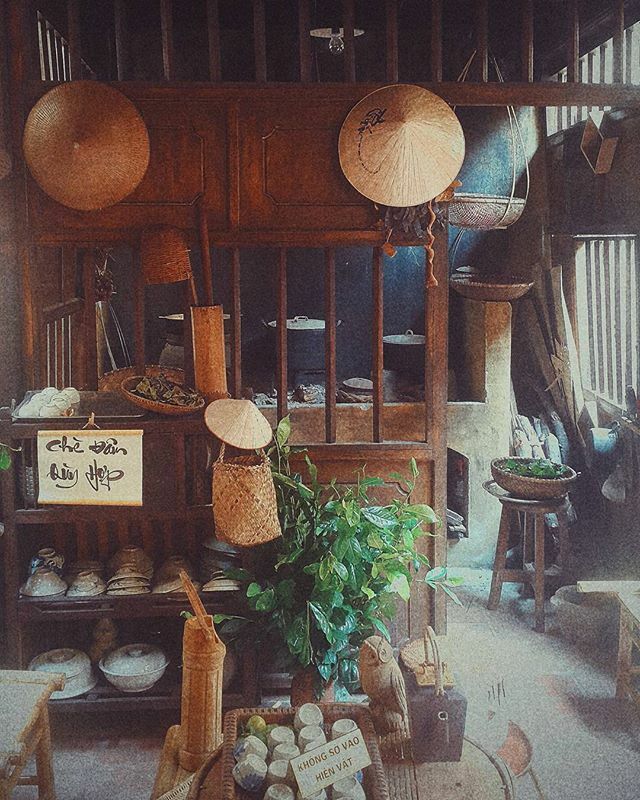 There are various old items of furniture kept until now in this ancient house. Located on 86 Hang Buom street, Bach Ma temple is the oldest Buddhist Temple in Hanoi. It is one of the four defenses of the ancient capital responsible for protecting the east of the citadel. This temple was built dedicated to Long Do – the ancient god of Thang Long. When King Ly Thai To moved the capital to Thang Long, he could not build the citadel. The King prayed in this temple and then he saw a white horse coming out from the temple. The King followed the horse to draw the map of the citadel and built it successfully. In order to remind people the merits of the horse, he dedicated the temple to that very white horse. The temple is quite small but still attracts many tourists as well as local people to go there for worship. If you are a young person, I’m sure that you wouldn’t want to miss this experience. Ta Hien is known as the “international intersection” because you can find many foreigners who come here to enjoy an amazing night. This street is also known by another nickname, “Beer Street”. You can find some plastic chairs to sit down with your friends and drink some bottles of beer. 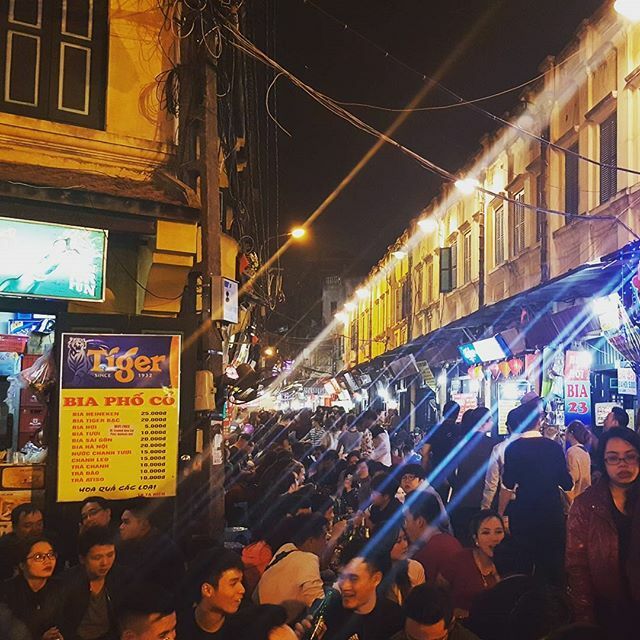 The price of the food and drink are priced to attract many people who come here looking to truly experience the local life and interests of Hanoi people. The Dong Xuan market is open on the weekend. The stalls on both sides will sell everything that you can imagine from the street foods to the crafts, clothes, souvenir or even home appliances,… You can spend hours here looking for various items. Nevertheless, you need to be good at bargaining and resolute to leave if you think that the price is too high. And the last key is that always keep your eyes on your own belonging! There is no way that is better suited for discovering a place with many valleys and small streets than walking. One of the benefits of walking is staying away from the crowded traffic jams. 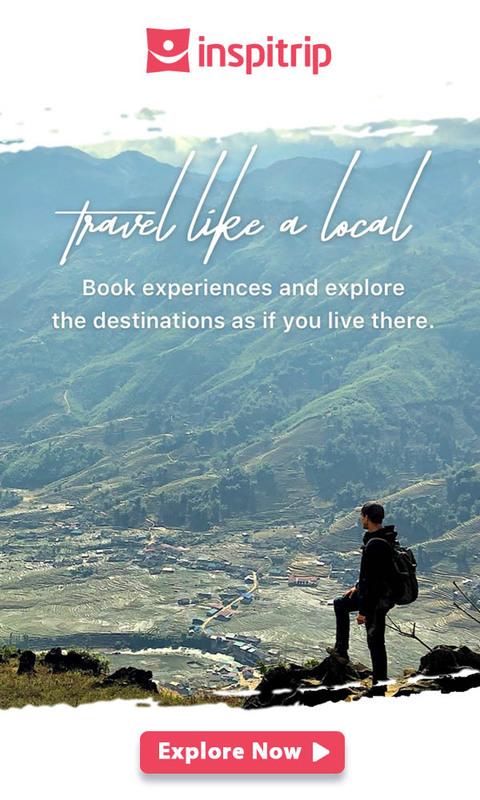 Besides, when you walk through the Old Quarter, you can stop to visit some places that you think are interesting, you can sit down to try some street food, you can spend more time to watch the life of the local people. 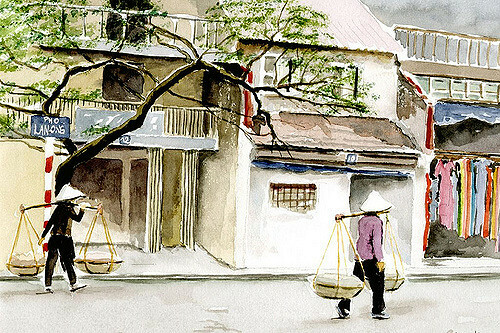 If you have enough time to discover Hanoi Old Quarter, walking is always the first suggestion that we want to give you. Another comfortable way to go around the Old Quarter is by bus. You can take the bus from one destination to the next destination. The price for the bus is also cheap and you do not have to be worried about parking like you would if you took a motorbike. However, you need to be very careful when you find the bus that you will go by. If you choose the wrong bus, it will be a mess.